We have been working on this for while and now it’s live! For instance, you may look for just train station ambiance set in our TRAINS and WATER SET in FOREST summer edition and upcoming library MOTOR FAN household edition will be also segmented by internal mechanical set and external set and so on. NEW from Anti-Node Design sound library. MOTOR FAN household edition is out now! GET EARLY BIRD 30% DISCOUNT NOW!! From a beautiful tradition to an idiosyncratic new library! 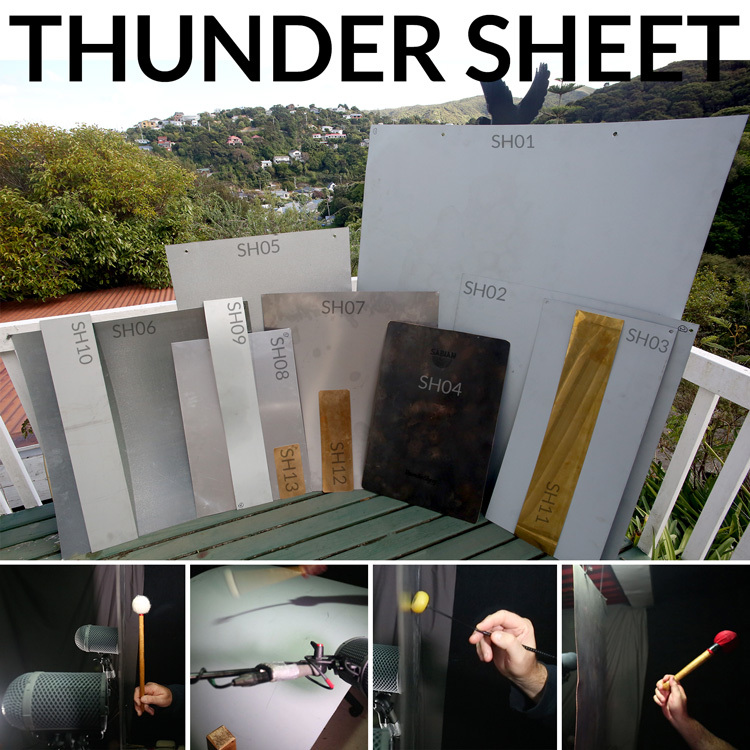 While the THUNDER SHEET has been used evocatively in classical music and theatre for eons, we decided to explore what was possible as source material for contemporary sound design, first with a hefty Sabian bronze thunder sheet and then veering into DIY territory. And well... I now appear to own fourteen thunder sheets! The smallest three are brass and are very zingy, while the largest steel sheet creates epic reverbant booms, but often with weird sounding harmonics... Each thunder sheet revealed its sweetspots, with some materials moaning & then screeching when a friction mallet was used, others warping and inverting with beautiful pitch bends... Meanwhile the plastic sheet has a weird tonality all of its own! Captured 24bit 192kHz with a pair of Sennhesier MKH8020, the resulting 15.3GB library is an extraordinarily rich resource for creating iconic new sounds.